Even as the tables were set and the guests arriving I could hardly believe that this event was happening. Months of research, planning and wondering were over and it was show time. Food Gatherings opened for business. Anyone that has hosted a party or started a venture will know what a roller coaster ride it can be. Will people come? Will they like it when they get here? What on earth was I thinking hosting an event two weeks before Christmas? As people streamed through the doors for our inaugural taster event there was nothing else we could do but play host and follow our plan. The social whirl in the room was electrifying to watch. Seeing strangers deep in conversation and friends reunited across the table and across the room was exactly what we were trying to create. A time and space for people with busy lives to come together. It was fun but mostly it was fast. Two hours passed in a flurry of wrapping paper, food and chatter. As people drifted home at the end of the evening it felt good although I was almost dead on my feet. All the doing and worrying was over. It was hard to avoid the natural instinct to critique and debrief as overall it was a great success with lots of people declaring their intention to return for more events. 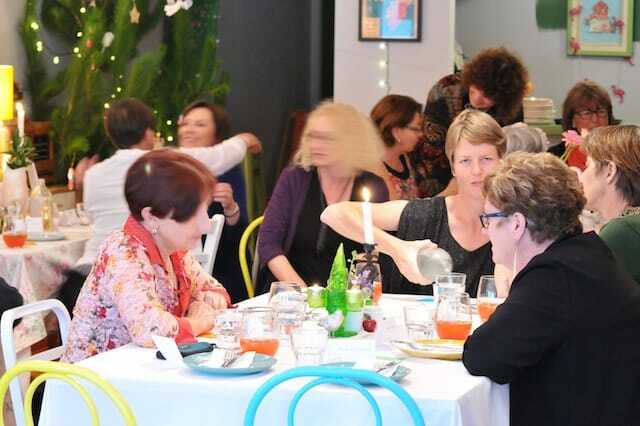 Plans for a monthly supper club are coming together – our first is at the end of January. 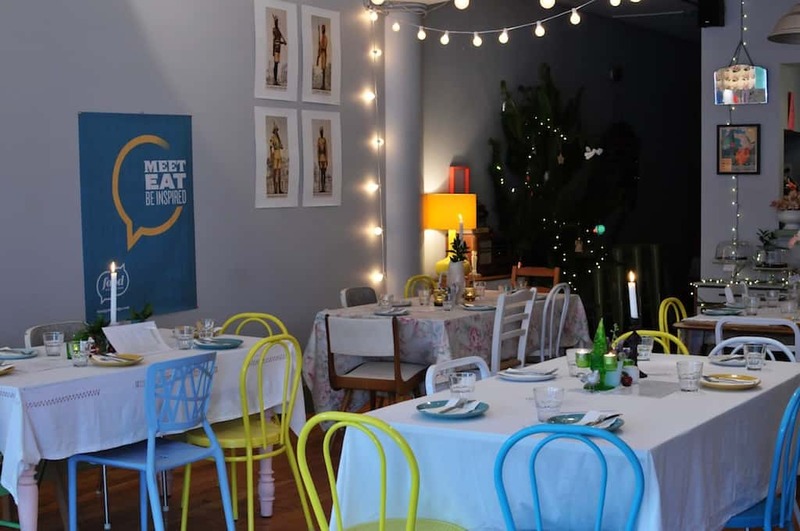 We’ll be taking Food Gatherings to different eateries across Wellington and curating conversations around the table. It’s an adventure in what works and learning more about what people want from Food Gatherings. Friends, colleagues, acquaintances and complete strangers have been so enthusiastic to the idea of food gatherings its been humbling to have their support. It’s early days but I’m excited to be making this happen working together with my friend, Naomi. If you really want to understand what it’s like to be launching a new venture you should listen to the podcast StartUp. Food Gatherings may be in a different industry and league to the launch of this podcasting company but the thoughts, challenges and dilemmas are so similar in lots of ways. It’s a fun listen – especially if you want to hear how not to pitch your business idea to a billionaire investor. I’ll give you a sneek peek of what it’s like behind the scenes of Food Gatherings as things unfold. If you’re based in Wellington you can of course come along to one of our future events or join our Facebook page and follow our adventures vicariously. But for now I have to curb my impatience that Wellingtonian restaurants and cafes are shut for the holidays just at the time ideas for future food gatherings are brimming over. How exciting to see this venture lift off to what I predict will be a resounding success. Maybe it’s time for an Artist Round Table in NZ?